Thanks to our status as a cultural melting pot, America is a land of great food. 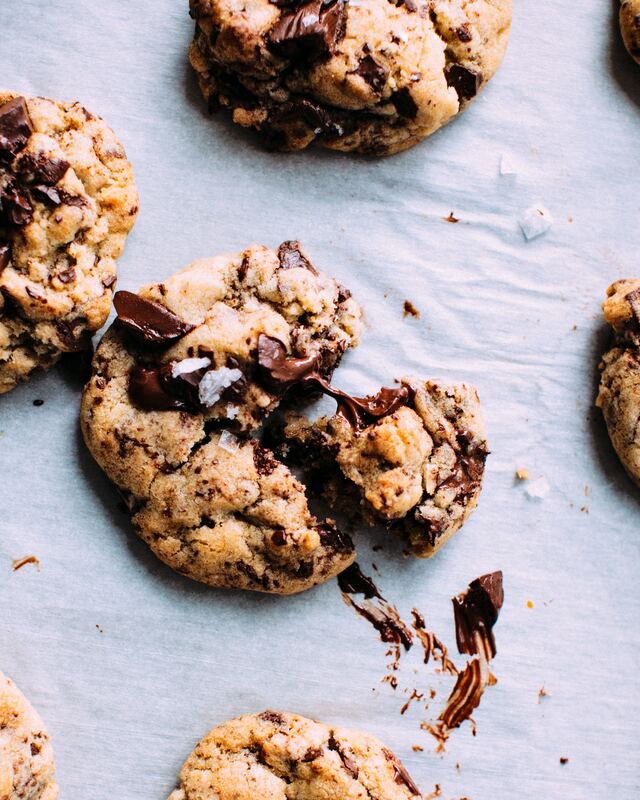 One of our best contributions to the world has got to be the chocolate chip cookie. Since Ruth Graves Wakefield first created that recipe and got it printed on the back of Nestle chocolate chip bags, brands and home bakers have expanded the concept of the cookie with delicious results. For this list, we’ve included bakeries and cafes from all across the nation, like the Milk Bar in New York City to Hello Robin Cookies in Seattle, Washington. If you’re traveling close by any of these four shops, be sure to stop in for a cookie break. Fresh off from working in the fine dining industry, Christina Tosi took over the dessert program at Momofuku. It was so successful that she branched off and opened her own bakery in 2008, which she called “Milk Bar.” Since those early days, she’s earned two James Beard awards and was listed in Fortune Magazine’s 40 under 40. Milk Bar now has storefronts in New York, Toronto, Las Vegas, Washington D.C., and Los Angeles. The “Compost cookie” is the most famous, which is packed with coffee, pretzels, and potato chips. Other unique eats include the cornflake marshmallow cookie, blueberry and cream cookie, and the “Best Freaking Cookie,” a gluten-free dark chocolate delight sweetened with pineapple and coconut. Owner Joanne Chang graduated from Harvard with a degree in Applied Mathematics and Economics, but after starting a career as a management consultant, she couldn’t resist the call of the kitchen. She worked at a series of renowned restaurants as a pastry chef, and in 2000, she and her partner Christopher Meyers opened Flour in Boston’s South End. In addition to tasty sandwiches, soups, and salads, you’ll find a wide range of tempting pastries, like the brown sugar almond meringue, raspberry meringue cloud, and chocolate chip cookie with three kinds of chocolate. Flour’s most famous cookie, however, is the homemade Oreo. If you like a classic cookie, you’ll also find that in the form of treats like peanut butter chocolate chip. Founded in 2008 by Jen Musty, a self-taught baker, this spot makes a stunning spread of pastries, cakes, and cookies using seasonal, local ingredients. They also cater for special events (weddings, birthdays, baby showers, etc) and roll out their Sweetcart service with cookies and ice cream. What kind of cookies are we talking about? Unique ones that most people wouldn’t necessarily imagine, like honey sesame and cherry ginger. Musty’s shortbread flavors include lavender sea salt and Meyer lemon pink salt. If you like a classic cookie, you’ll also find that in the form of treats like peanut butter chocolate chip. Home baker Robin was always known for making the best cookies and baked goods. Before opening her own bakery, she won awards like Best Classic Whoopie Pie and 1st place at the Crossroad Farmer’s Market bake-off. With the encouragement of her friend Molly, who represents the summertime ice cream half of Hello Robin Cookies, the bakery was born. In 2017, Seattle Magazine’s readers named it the best place for cookies. Treats include the unique orange habanero chocolate chip, the oatmeal chocolate chip with tart cherry, and the Mackles’smore, a s’more cookie studded with Theo chocolate. Their best seller? The classic chocolate chip, which is a great sign, because mastery of the basics is essential to every good baker. They say the humble Oreo is America’s favorite cookie, but that wasn’t always the case. How the black-and-white treat earned its spot is a riveting tale of competition and fierce marketing savvy.